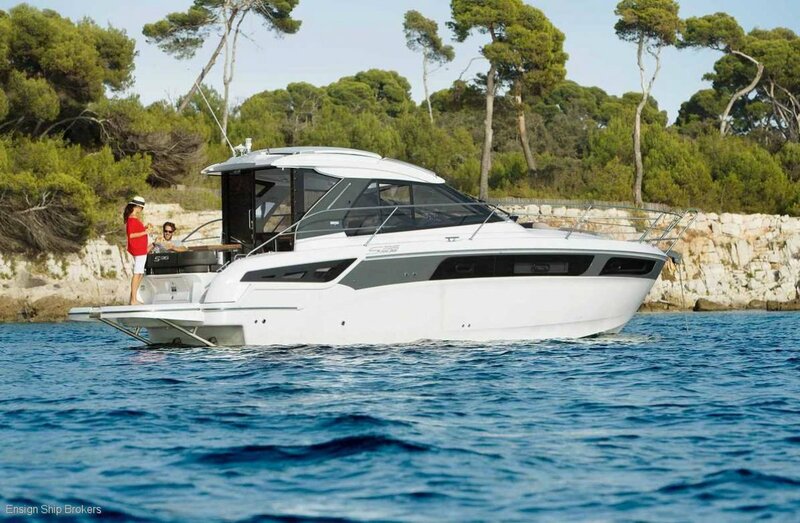 2017 BAVARIA S36 DIESEL COUPE - LUXURY AND DESIGN COMBINED TO PERFECTION. 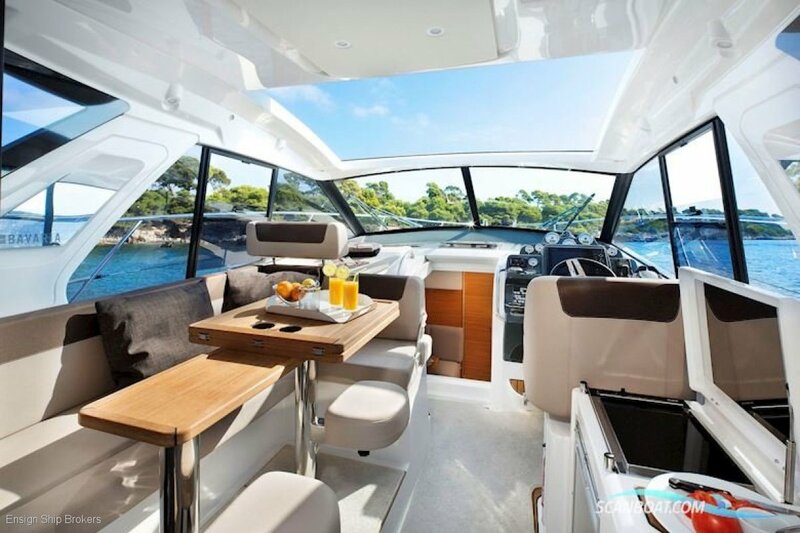 Proudly presented by Bavaria Yachts Australia, a rare opportunity to own this late model, 2017 Bavaria S36 Coupe. The design of this BAVARIA is characterised by our unwillingness to compromise. 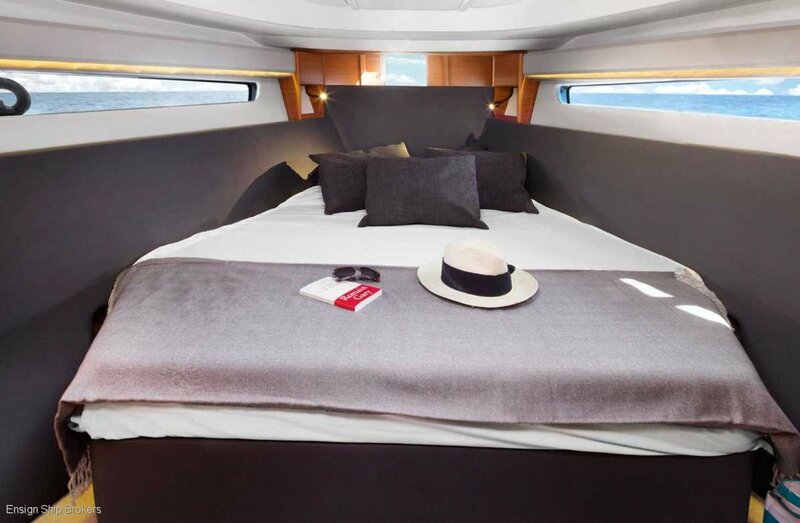 This S36 is a prime example of Bavaria's ability to maximise space and provide ample light in the cockpit and other living areas around this yacht. Everything has been designed to be wonderfully bright and great attention to detail has been paid. The helmstand has an exceptionally ergonomical design – all the instruments are in sight and intuitive to operate for even greater driving pleasure. 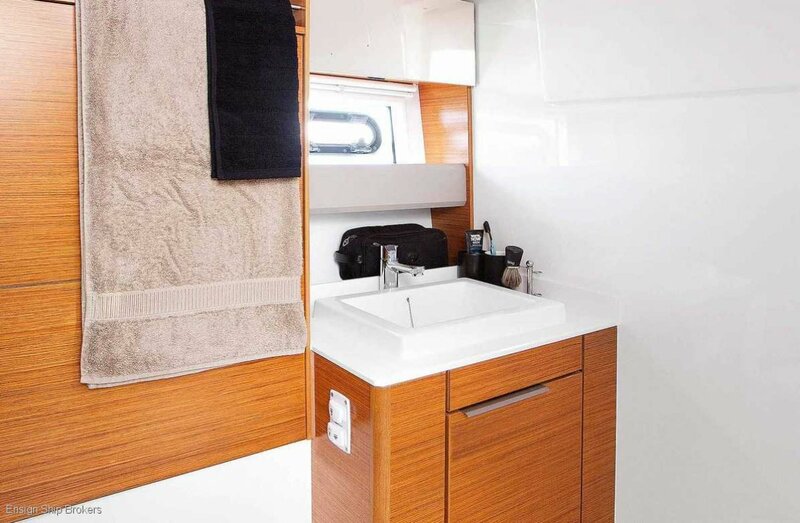 When you board the S36 you'll notice that all areas appear as one and seamlessly blends together. Pass through the big door of the cockpit, which merges with the saloon and helm station inside, all the while taking in the beautiful views of your surroundings thanks to the large glass windows and electric sunroof which generously shower the entire area with natural lighting. As you descend through the companionway you'll be amazed with what we've done to our downstairs area. 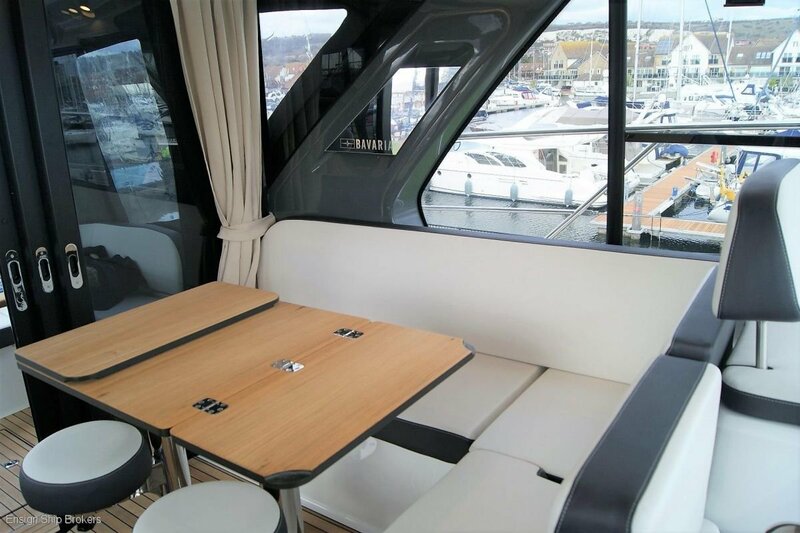 The galley and saloon provide a private area for dining, entertaining and food preparation whilst still easily accessible by your guests upstairs. 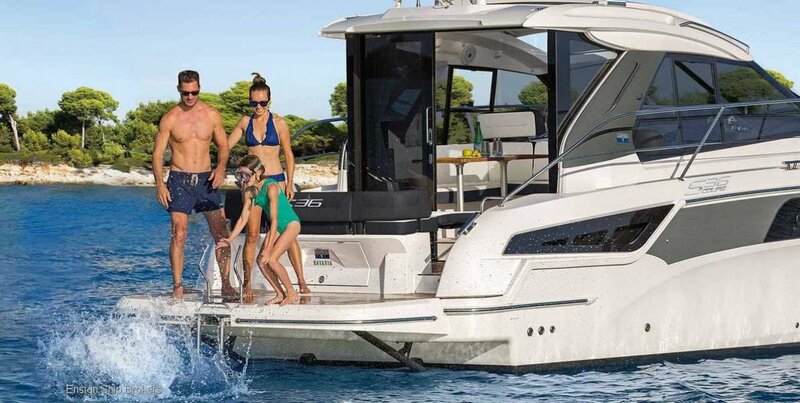 To the front you have your Owners cabin, complete with a luxurious queen sized island bed and to the rear you'll find your guest cabin which can be transferred from a double bed to twin singles allowing you to accommodate for all of your guests. 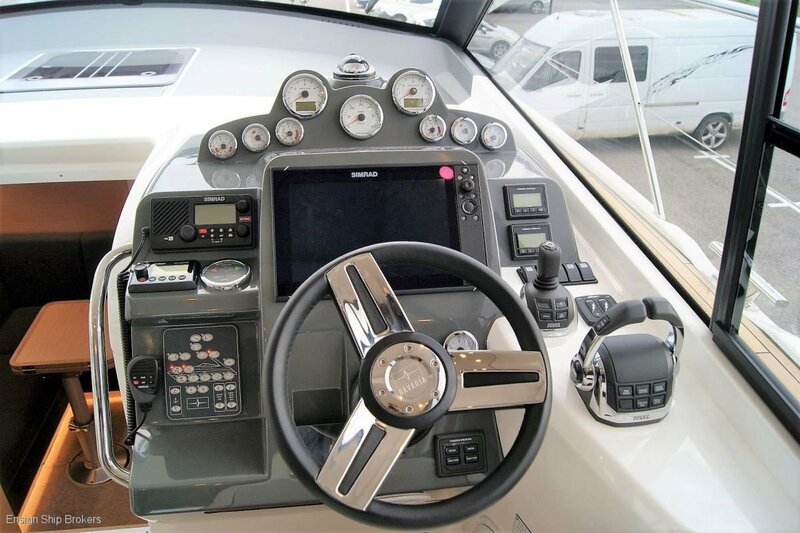 Replacement cost for this vessel including extras starts from $572,250. Cabins: Island berth in foreship. 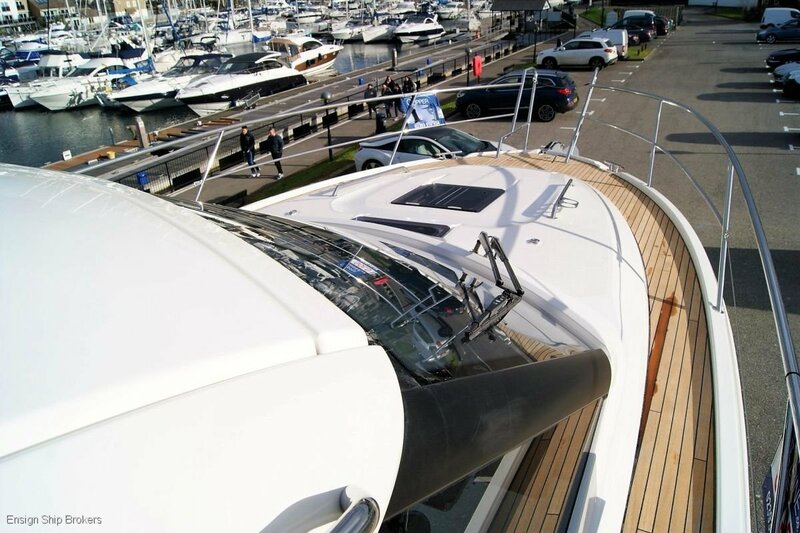 Two single berths, convertible into a double berth in aft cabin. 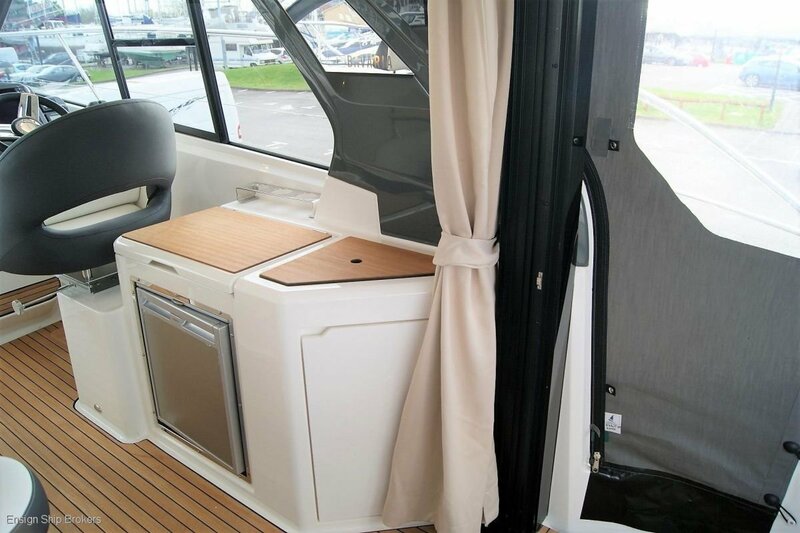 Venetian blinds in saloon, aft and forward cabin. Ground Tackle: ANCHOR: Delta Anchor. 16kg. incl anchor chain 50m, galvanised.